Often when a Christian has a correct view of the sovereignty of God there are two challenges that begin to emerge: evangelism and prayer. If God is truly sovereign in all things, then we struggle to see the reason for these two things. If prayer is merely a ‘think-tank’ session between us and God, but he is already omniscient (all-knowing), then prayer becomes pointless. 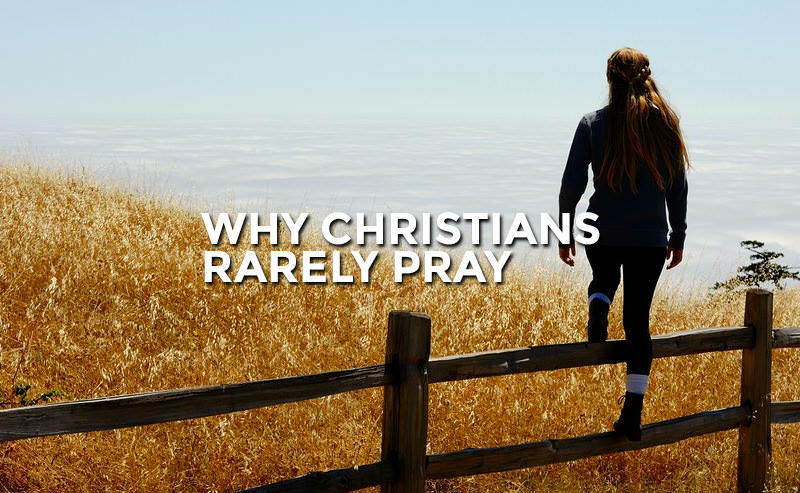 Likewise, if prayer is nothing more than some form of fuel that enables God to accomplish his will, but he is already omnipotent (all-powerful), then prayer is also pointless. The number one reason why most Christians don’t pray is because they don’t believe prayer makes a difference. One of the most common illustrations Jesus chose to use in describing prayer was the illustration of a little child spending time with their loving father. Many of us can accurately describe the doctrine of adoption, but can we describe what it’s like to actually spend time with our heavenly Father? We often use language that indicates a deep and intimate relationship with God that many of us don’t really possess. Theoretically, our relationship with God is close. Practically, it is distant. Prayer is all about relationship. It’s like having dinner with Jesus. The focus of prayer should not be the words we use, but the person we are speaking them to. Ironically, the reason why many of us struggle to pray is because we are focusing more on praying than we are on God. Focusing on the conversation more than the person is like trying to drive while looking at the windshield rather than through it. Prayer should never be our focus. Our focus should simply be getting to know a person. Prayer is a means to an end, not an end in itself. The end is not convincing God to change his mind about something or getting him to give you what you want. The end is simply knowing God and being changed by him. Relationship should be our chief goal in prayer. We don’t pray so that God will desire to be in relationship with us. We pray because through Jesus, God has already gone to the greatest lengths imaginable so that we could be in relationship with him. One of the many names of God is Emanuel, which means ‘God with us’. When we recognize that God took great joy in going out of his way to be with us, we can become joyful in taking time out of our day to be with him. Like giving and serving, prayer is always a response to what God has already done for us. We keep forgetting that God is a person. We never learn to love a person without it changing us. This is simply the nature of love. Prayer is simply a way of creating space for God to come and change us. Prayer is not merely an activity, prayer is a place.